*Cutty’s Okoboji Resort* is a private ownership resort open 365 days a year, near West Lake Okoboji, in the popular Iowa Great Lakes Region. 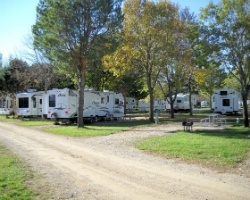 Owners have access to 257 full hook-up campsites and 57 rental units featuring kitchenette, phone, TV, and air conditioning. Once each calendar year, each Cutty’s owner is permitted to place one reservation up to 90 days in advance of their arrival, based upon availability. 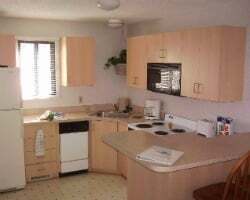 The remainder of the year, owners check availability 14 days or less prior to arrival and stay for a period of up to 14 days each 30-day period or two weekends in any calendar month. 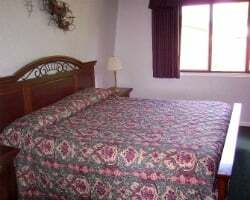 Owners are also permitted one summer holiday stay, based upon availability--Memorial Day, Fourth of July or Labor Day. To discover more, visit www.cuttysofokoboji.org. 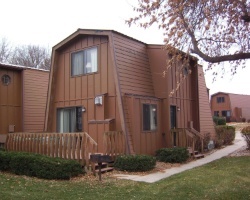 Situated on Highway 86 along the beautiful shores of West Lake Okoboji, *Sunrise Cove at Village West* provides the perfect retreat from the cares and worries of everyday life! You'll find elegant accommodations in the resort designed for optimal convenience. Families also love the Suites and Townhouses, which are designed to comfortably accommodate large travel parties. For those requiring less space, the One-Bedroom Suite or Studio Suite are perfect choices which can accommodate two to four people. 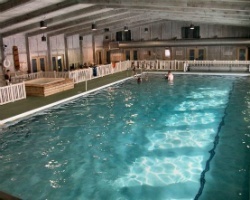 Family friendly resort with many great outdoor activities for all ages! Week 9 every year! Buyer may receive a title fee credit, inquire for details! 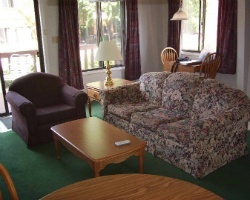 Resort features many onsite and nearby amenities! Buyer may receive a title fee credit, inquire for details! Outdoor lover's welcome! Many outdoor activities from biking mini golf and more! Buyer May Receive A Title Fee Credit, Inquire For Details! Week 22 and week 50 on the same deed! Buyer May Receive A Title Fee Credit, Inquire For Details! Escape from the everyday stresses of life! Enjoy this peaceful retreat in nature! Buyer May Receive A Title Fee Credit, Inquire For Details! Spend week 41 on spirit lake! So much to enjoy onsite no need to leave! Buyer May Receive A Title Fee Credit, Inquire For Details! Escape to Iowa and put your mind at ease! Annual week 4 each year! There is a Sauna in the room! Buyer May Receive A Title Fee Credit, Inquire For Details! Perfect resort for outdoor enthusiasts! Annual week 22 usage! Buyer may receive a title fee credit, inquire for details! Enjoy a relaxing vacation at this cozy location! Buyer may receive a title fee credit, inquire for details! Perfect resort for outdoor enthusiasts! Annual floating week! Buyer may receive a title fee credit, inquire for details! Perfect resort for outdoor lovers! Many onsite and nearby amenities for all ages! Annual floating week! Inquire for details! Enjoy this flexible campground membership! Pick your own dates! Buyer may receive a title fee credit, inquire for details! Celebrate Memorial Day at this lovely resort! Lots of great activities for all ages! Buyer may receive a title fee credit, inquire for details! Start the year off right by staying at this cozy resort! Lots of great winter activities! Buyer may receive a title fee credit, inquire for details! All offers considered! Highly Motivated Seller. Recently Reduced Price. Enjoy week 39 vacations each year at this lovely 4-season resort! Great resort for outdoor enthusiasts! Annual Week 51! New reduced price & motivated seller! Buyer may receive a title fee credit. Make an offer! Perfect for outdoor lovers! Annual week 17! Buyer may receive a title fee credit, inquire for details! Cozy resort with lots of great activities during any season! Annual week 43! Inquire for details!